During their November meeting, the Klein ISD Board of Trustees recognized Houston Methodist Willowbrook Hospital as the Stand Up for Texas Public Schools honoree. Keith Barber, Houston Methodist Hospital Willowbrook CEO commented on the similarities between the healthcare system and Klein ISD. Since 2012, Houston Methodist Willowbrook staff has provided clinical placement for Klein Forest High School Health Science students. The partnership gives juniors and seniors an opportunity to complete rounds with hospital staff in nearly every department. These real-life lessons enable the students to earn an industry certification before they graduate high school. In 2015, Houston Methodist Willowbrook began hosting students for a Job Shadow Day. Students receive in-depth lessons on healthcare careers like physician, nurse, marketing, supply chain, and administration. They also participate in high school career fairs, summer junior volunteer programs, and the Klein ISD Career & Technical Education Advisory Council to offer guidance for the Health Science Technology program. Also provided by the hospital are concussion training for coaches, student athletic trainer education, strength and conditioning seminars as well as ongoing education and training for coaches. Another example of the strong bond Houston Methodist Willowbrook has with Klein ISD is an educational video, featuring students of all grade levels from across the district, designed to empower students with an understanding of the signs and symptoms of a stroke. The video, produced by the hospital, is used as a tool to prepare students in the event they are faced with a stroke emergency. 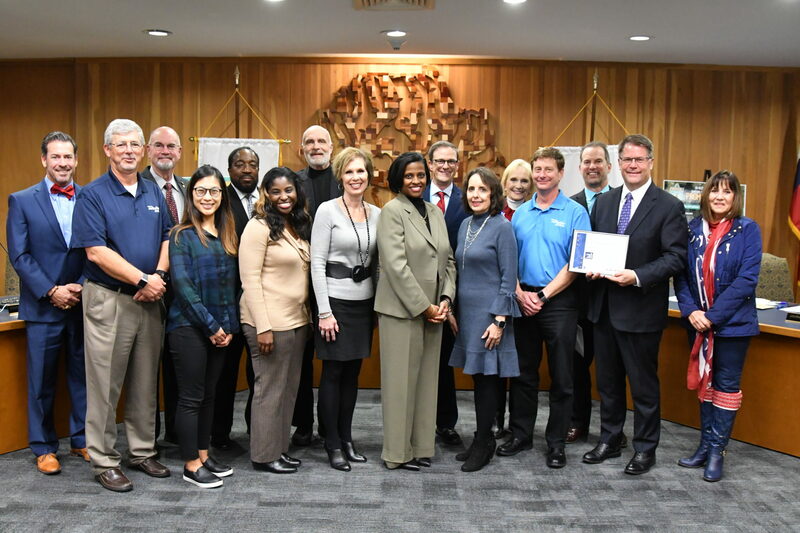 In addition to supporting the annual Klein ISD Academic Banquet, New Employee Onboarding, and the Career & Technical Education Program, Houston Methodist Willowbrook Hospital will also serve as the presenting sponsor for the inaugural Klein ISD Education Foundation Fun Run in May 2019.